I got a good start on this new project, as I was lucky to have Inma Rocamora Ruiz from Natural Elegance Fashion Blog, as my model, collaborator and ambassador! 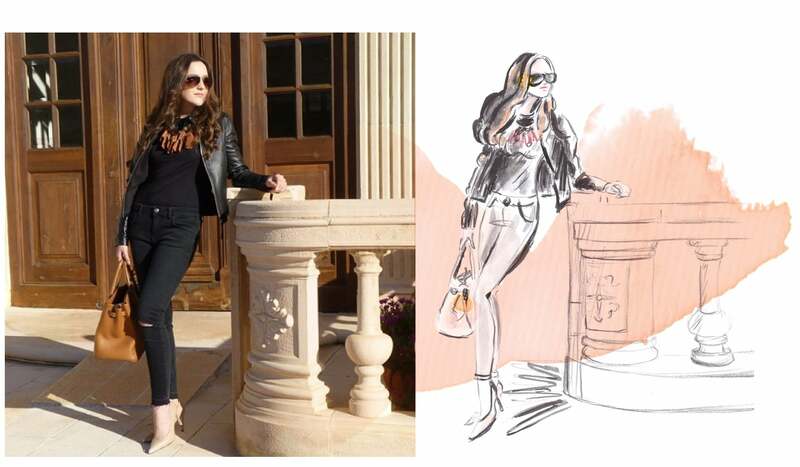 Illustration has become extremely popular on social media. And Instagram has highly contributed to the growth and demand for artistic images. So why not use them on fashion and lifestyle blogs, too? My illustrations are mostly made in watercolor, which give you the opportunity to hang them on the wall or use them digital on different sites. A tailored illustration is a fine supplement and a great contrast to photographs, which tend to get more and more styled to perfection. Illustration brings back the human touch!